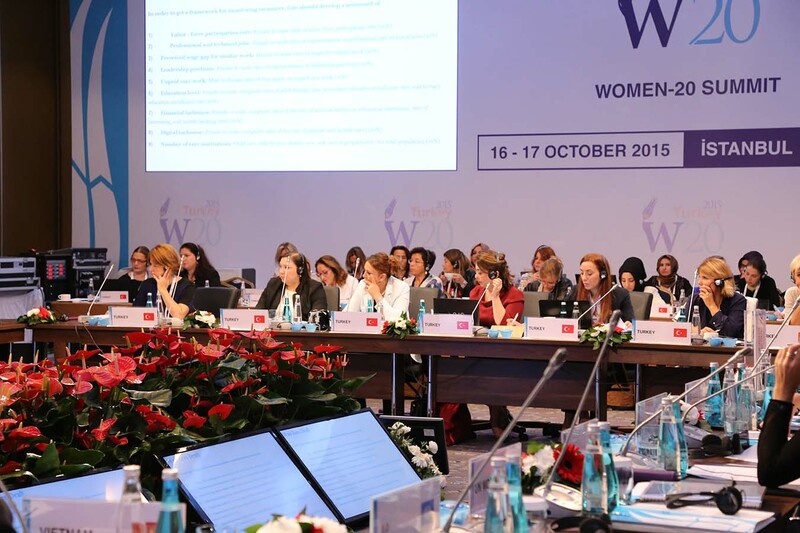 Women and Democracy Association (KADEM) attended Women 20 (W-29) Summit on Oct. 16-17 in İstanbul, as a partnership and the member of committee. 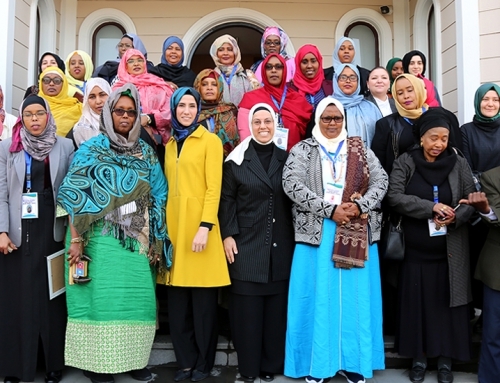 W-20 is one of the G-20 groups which supports women’s full economic and social participation. 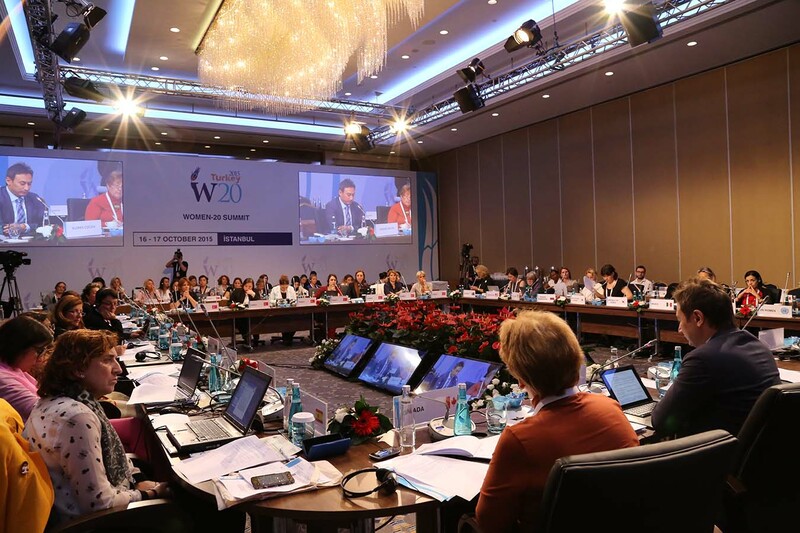 The summit of W-20 was held on Oct. 16-17, 2015, for the first time in Turkey, the term president of G-20, and with the partnership of KADEM. 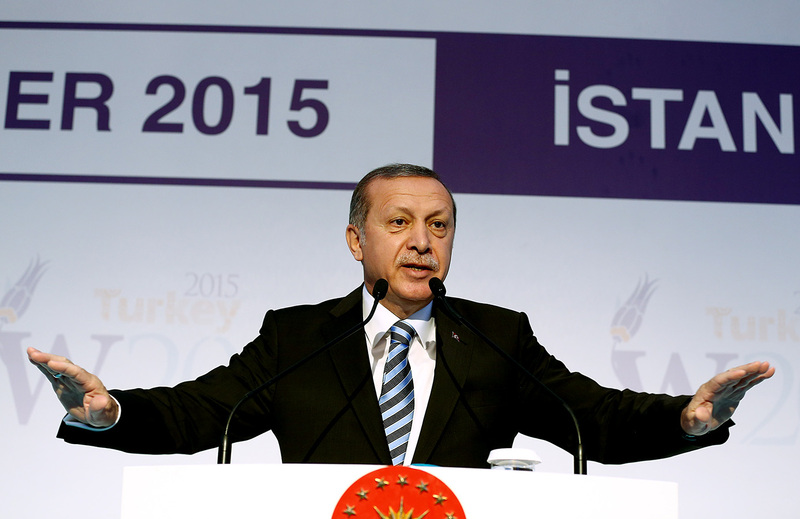 The Turkish President Recep Tayyip Erdoğan attended the summit holding in İstanbul. The participants of the summit were the representatives of G-20 countries, business world, NGOs, and many academicians. 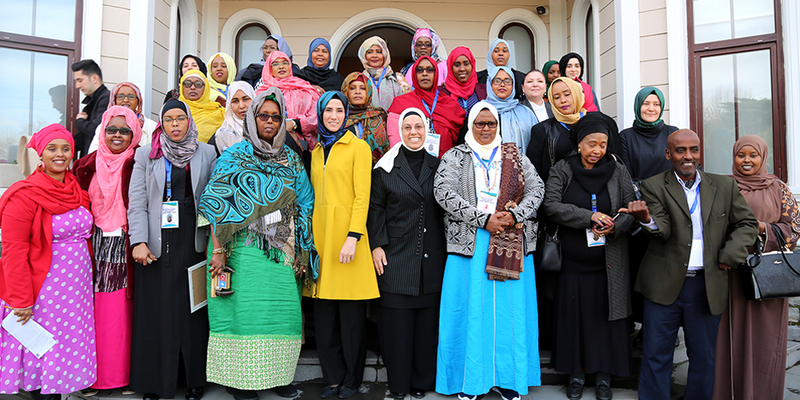 The summit particularly focused on promoting gender- inclusive economic growth. 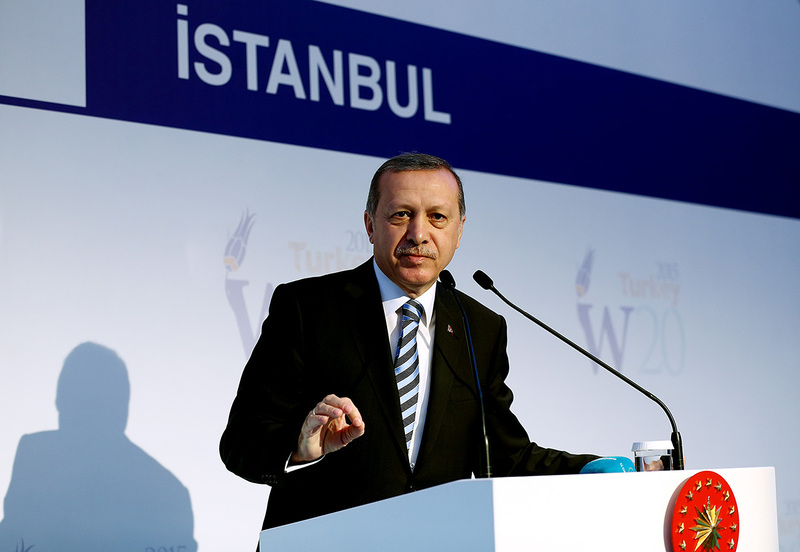 Erdoğan made an opening speech emphasizing the importance and role of W20 group in sustained and inclusive economic growth. Erdoğan also pointed out that improvement of working conditions for women and enhancing their education is a primary need. 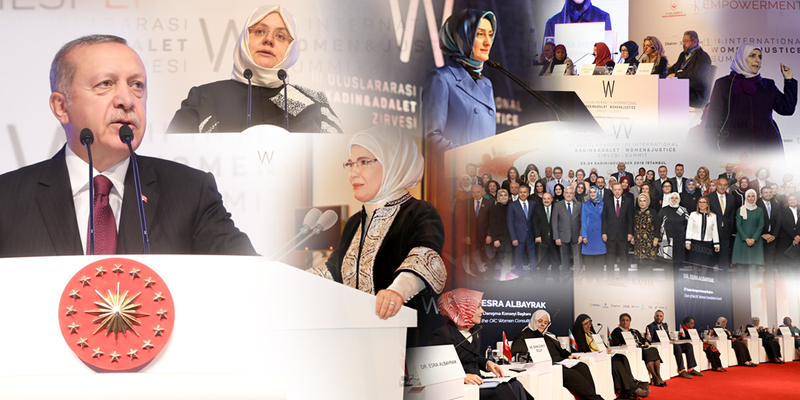 He emphasized that Turkey has already adopted the decision that has been taken by G20 countries last year “the difference between women and men’s employment will be reduced at the rate of 25 % until 2025 and accentuated that reaching this objective means 200 million women will participate in business all over the world in 10 years. 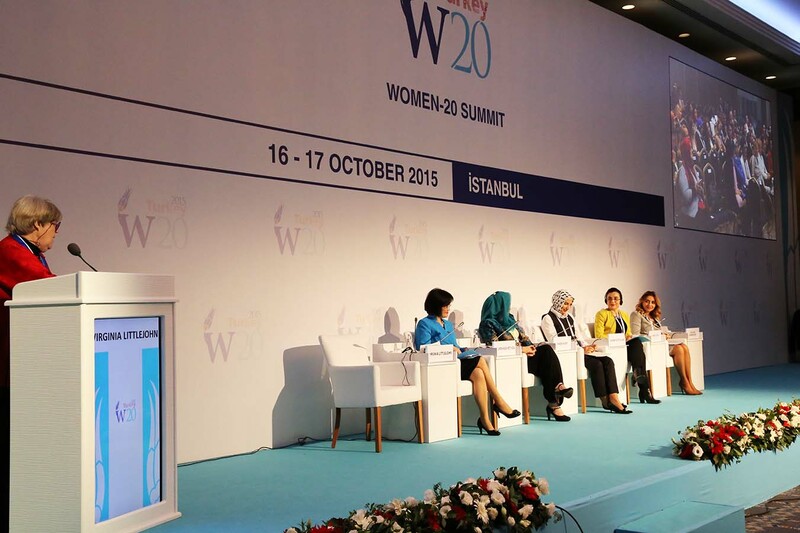 Committee member of W20 and the head of KADEM E. Sare Aydın Yılmaz made a speech and pointed out that a sustainable economic development is only possible by implementing the policies that pay regard to work-family balance, protect family and enhance just division of labour between women and men. 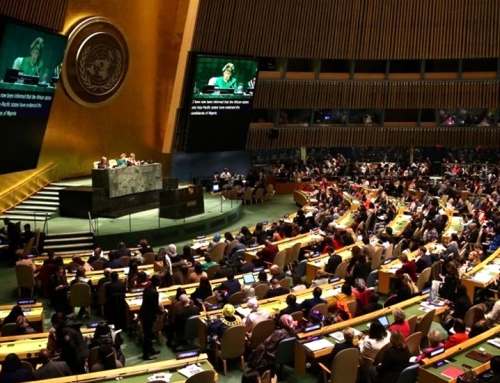 She drew attention that if we want a more just and livable world, we need more women in all spheres from politics to business, from education to economics. 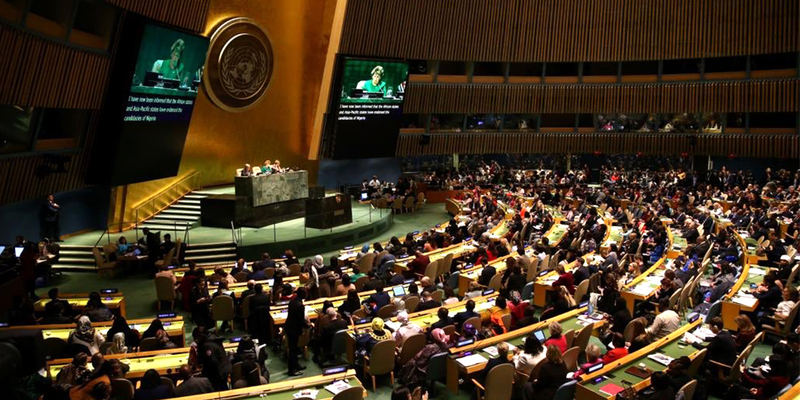 Subsequent to the opening speeches, the priority policy areas determined by W20 committee have been discussed in closed sessions in which panel speakers and audiences from different parts of the world have participated. Titles of the sessions of two-day summit are “Address women’s economic empowerment through strengthening linkages between education, employment and entrepreneurship”, “Support work and life balance by developing and/or improving infrastructural mechanisms for social care (child, elderly, sick and disable care)”, “Increase the number of women both in public and private sector leadership positions”, “Ensure women’s access to financial and productive assets as well as to markets”, “Eliminate workplace discrimination, enforce legal rights and promote equal opportunities”, “Strengthen women’s economic, social and political networks”, “Support women-owned enterprises and innovation”, “Promote women’s leadership in creating sustainable consumption patterns and green growth” and “Deliver adequate social protection and improve working conditions for women”. 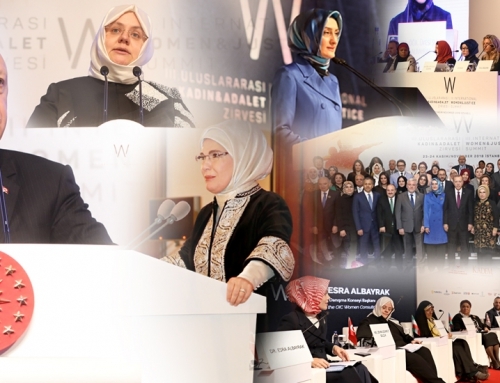 Final declaration of W20 Summit which has been created at the end of long discussions and reviews will be presented to the world leaders in G20 Leaders’ Summit on November. The launching of the summit was held on Sept. 6, 2015 in Turkish capital of Ankara, with the attendance of Turkish Prime Minister Ahmet Davutoğlu. The Sherpa of G20 Turkey Ayşe Sinirlioğlu, the head of IMF Christine Lagarde,the representative of Organization for Economic Cooperation and Development Angel Gurría, the UN Women Unit Deputy Chairperson Lakshmi Puri and the International Trade Center Executive Director Arancha González, were also among the participants.